Johnston to have recent Haddonfield installation feted this month. Baltimore-based sculptor Barry Woods Johnston, who created the “Ballerina” installation which sits at the southern entrance to Haddonfield. By a recent proclamation from the board of commissioners, April has been deemed “Haddonfield Sculpture Month,” offering borough residents and the general public a chance to view works of art displayed throughout town, and to learn about the artists who created them. 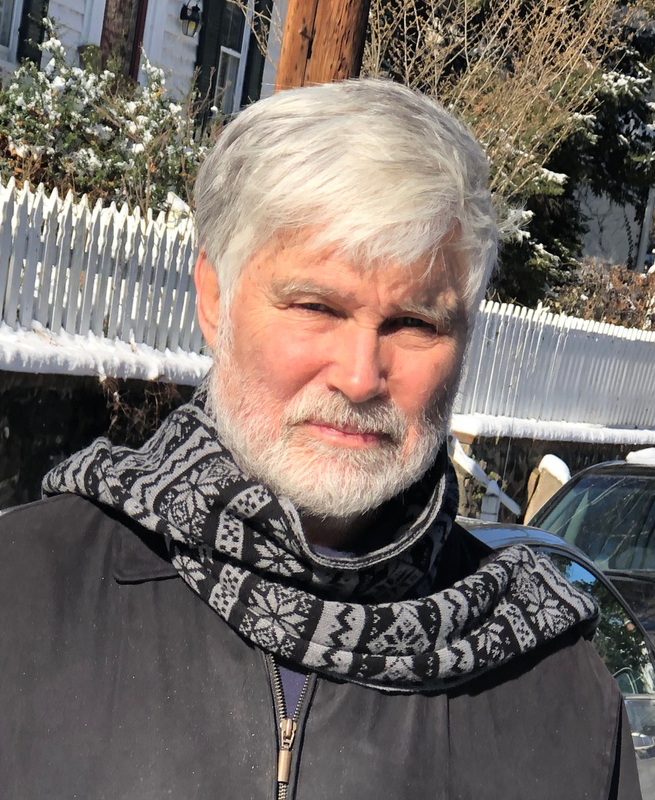 The first of two artist profiles this month for The Sun is Barry Woods Johnston, creator of “Ballerina,” which has graced the entrance to Haddonfield at the Ellis Street circle since Jan. 2 and will remain there until 2021. One hallmark of all good artists is the ability to see shape, color and texture beyond the realm of existing forms. Johnston has embraced sculpture as his primary means of expression, but the Baltimore-based professional might have gained his perspective through a unique setting in his youth. “I grew up in Huntsville, Ala., the town where the space project developed. Many of my classmates were the kids of the scientists in the space program. I grew up with that spirit of wonder, but art was not considered a viable profession really,” he related. Progressing through elementary, middle and high school, Johnston also found he had a talent for math, especially in geometry. He chose to study architecture Georgia Tech, but still possessed a strong leaning toward art. Since sculpture was more closely related to architecture, and its involvement with three-dimensional space, he said, that was a more direct reason and connection he had to choose it as his main source of artistic expression. Johnston also learned how to play piano, and so viewed sculpture in the same terms as learning music. However, during the Vietnam era, his career into architecture stagnated and Johnston found a calling in art, since it proved to be a more flexible pursuit. Moving to the present, Johnston’s “Ballerina” never would have landed in the borough if not for a longtime friend and associate, Joe Carolfi, who recommended his work. From there, he came to the attention of HOST chairman Stuart Harting, and following a three- to four-month discussion on placement late last year, the sculpture found its current resting place. “Ballerina” measures six feet wide, six feet tall and roughly 20 inches deep. “My model was a professional ice skater, Patricia Dodd. The ‘Ballerina,’ for me, is about freedom, life, goodness, and energy,” he said. Johnston’s sculptures celebrate the varied interpretations of the human form, complete with unique expressions and body postures, whether the theme is Shakespearian, mythological or religious. If interested in seeing Johnston’s works on display, he revealed the closest places to Haddonfield are “King Lear,” at the James Michener Museum in Doylestown, Pa., and a “Cross” he fashioned for a Presbyterian church located in Wilmington, Del. He also has works on display in Washington, D.C., Baltimore, Seattle, Holland, China, and in the Vatican. Johnston will be in attendance as the Haddonfield Outdoor Sculpture Trust officially dedicates “Ballerina” at its current location, on April 13 at 2 p.m. All prospective little ballerinas, in costume, are welcome to attend along with the public. For more information on Johnston and his artwork, visit his website: http://sculptorjohnston.com/index.htm. For more information about HOST’s April events, visit: https://haddonfieldsculpture.org/.